Entering The Mind Of A Genius. Belichick Opens Up About NFL Draft Strategies. The New England Patriots have 12 selections in the 2019 NFL Draft. 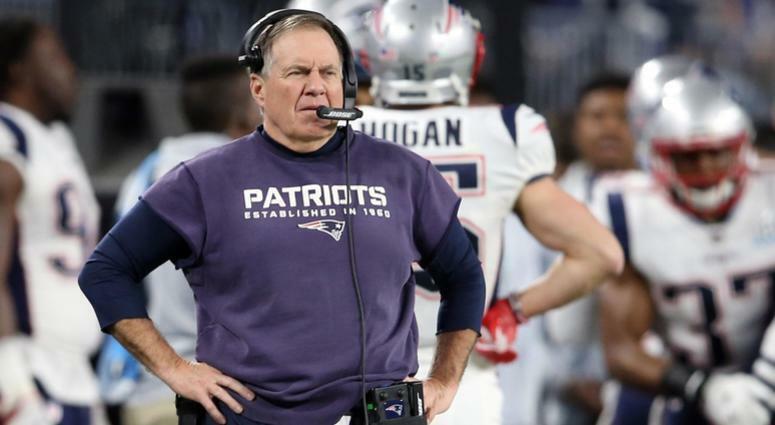 If past history has anything to say, the Patriots will not be making all these selections as is and will be making several moves in the upcoming NFL Draft later this month. Coach Belichick spoke in detail today about the Patriots strategies during his pre-draft news conference. He was asked if the Patriots still use the draft trade value chart put together by Jimmy Johnson in the 1990s. “Veteran players, depending on their age, contract situation and level of play — again, we have comparables that we would look at on that, so a starter, rotational player, a backup, a player that has a certain amount of playtime or a player that has a certain amount of production, that there are comparables of those trades, whether it be player-for-player trades or player-for-pick trades,” Belichick said. “And again, certainly there are trades that fall outside of whatever the norm is, but we have norms that we look at it and that’s the norm. Coach Belichick and the Patriots have two more weeks to mastermind a plan to set themselves up for another championship run. FINDING RECEIVERS: When asked about evaluating college receivers vs. NFL receivers, Bill Belichick admits that scouting pro players is easier than college guys.